KCPS Supt. Mark Bedell is holding town hall meetings so students and teachers can ask him questions. A teacher told her she couldn’t go to college, she adds. “You can go to college,” Bedell replies. Absolutely, Bedell tells her. The district has a partnership with the Mexican Consulate, and he reiterated that KCPS welcomes undocumented students. The student, whose name KCUR isn’t using because of her immigration status, was one of about 35 who attended a forum Wednesday morning at Northeast High School Wednesday morning. Bedell says he’s actually meeting with the Board of Education today to talk about what to do about overcrowding. He floated the possibility of a Lincoln Middle School. “If you move the middle school kids over into their own building, that vacates several hundred seats,” Bedell says. Kylee McCollum, a senior at East High School, tells Bedell some of her classmates just gave up because the attendance policy was so strict. Bedell tells McCollum that when it comes to attendance, it’s the state that makes the rules. Another town hall is scheduled for KCPS employees this afternoon. 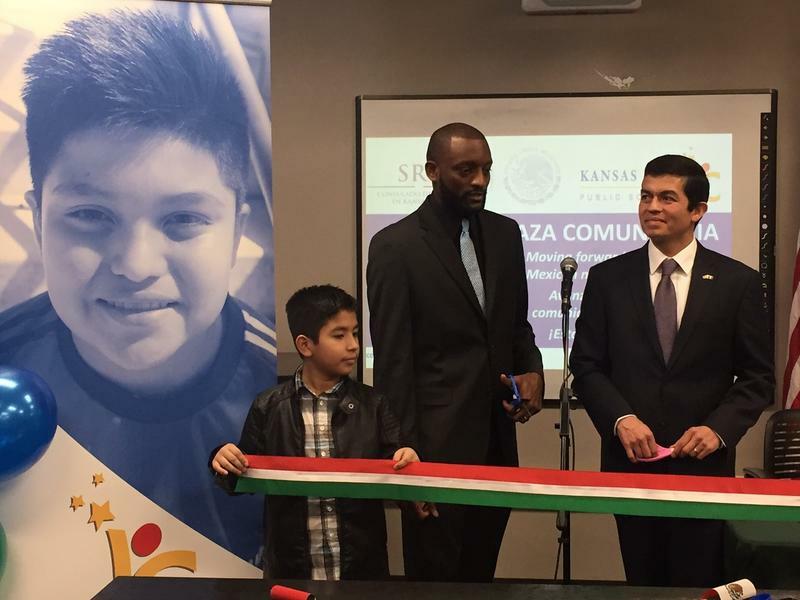 Kansas City Public Schools and the Mexican Consulate have partnered to offer educational opportunities to Latinos in the district. The partnership comes at a time when many are worried about raids by Immigration and Customs Enforcement (ICE). The partnership is housed at East High School, where the ribbon was cut Thursday.